In "Grid and Axis manager" the size of grid spacing measured in pixels. This is right for square grid, but has no sense for any other type of grid. Right now other grid types is defined by diagonal spacing in rotated pixels. 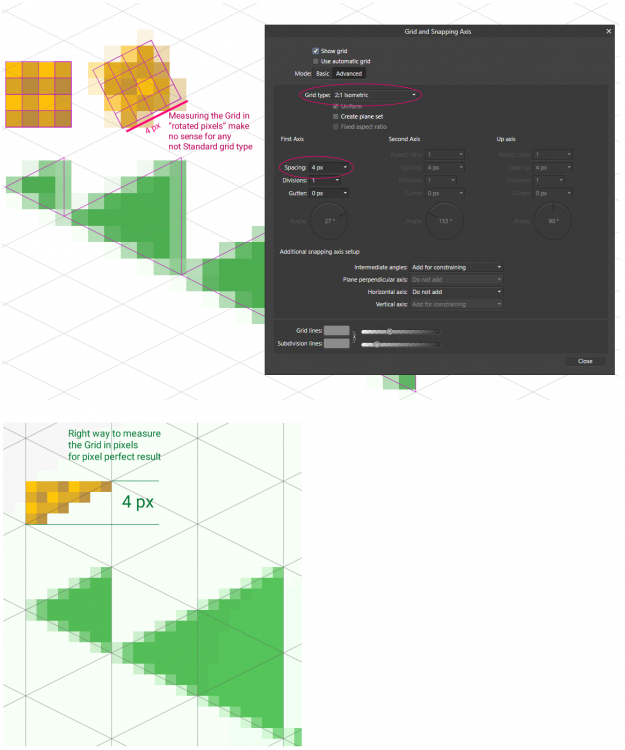 The only reasonable way for artists measure non-square grid in pixels is to define some height or width of the grid in real non-rotated pixels, but not actual side of grid. To understand it better, please, take a look on my example, with typical for pixel artists 2:1 isometric grid.